Loake 200 Oxford Shoes Review - MR ELLIS ! Loake continues to set the standard for quality, and their 200 Oxfords are no exception. If you’re looking for a simple yet stylish Oxford shoe that can offer premium comfort along with excellent durability, you should definitely give the Loake 200 a closer look. In the world of men’s footwear, the Loake name has long been associated with high quality and proud tradition. 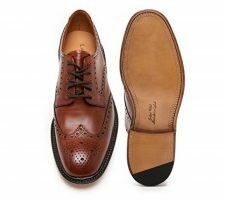 This should come as no surprise to anyone familiar with the Loake brand, because this storied company has been producing fine handmade shoes for over 130 years now. Headquartered in Kettering, Northamptonshire (in the same factory that the three founding Loake brothers built in 1894), Loake’s renowned method of Goodyear welted construction is still practiced to this day, some 50 million pairs of shoes since the company’s inception. And their commitment to quality has definitely paid off – they even have a Royal Warrant of Appointment to HM The Queen to show for it. As you can probably already tell, I’m a huge fan of Loake shoes. It’s hard to go wrong with practically anything they make, but I wanted to zero in on the Loake 200 Oxford shoes for this review. Off we go! The Loak 200 Oxford is a standard capped-toe men’s lace-up Oxford, with polished leather uppers (which gives it a nice shiny finish) and leather liners as well to provide optimal comfort and moisture resistance for your feet. They are made using the famous Goodyear welted method, an intricate and time-consuming process that is used by only the finest cobblers on the market. 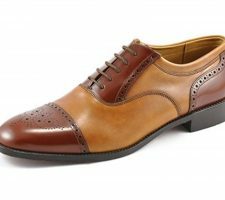 The Loake 200 Oxford is primarily suitable for formal dress, but if you have a knack for putting clever ensembles together, it’s highly possible to pull off a smart casual outfit using these shoes. While the 200 is the more economical alternative to the higher end Loake 747, it still offers outstanding quality that rivals or even exceeds that of most high street brands. True to the classic Oxford template, the Loake 200 features a capped toe and a closed front, which means that the eyelet facings for the laces are stitched on the underside of the vamp (i.e., the front section of the shoe). This provides the clean, minimalist look for which Oxfords have become legendary. 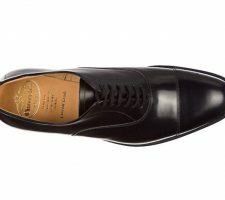 The black polished leather offers a high shine appearance, making the 200 perfect for practically any formal occasion. Although the design and style of the shoe is nothing groundbreaking – after all, it is billed as a traditional Oxford – the lines flow nicely with this shoe, making it a treat for the eyes. As I mentioned earlier, the Loake 200 Oxford is constructed using the Goodyear welted method, which makes it a cut above the average competitor in terms of quality. The materials used are noticeably superior as well, as the 200 is comprised of 100% leather through-and-through. They only strike that I could find against the 200 – and it’s a small one – is that this particular model is handcrafted in India versus being manufactured in the Kettering Loake factory. 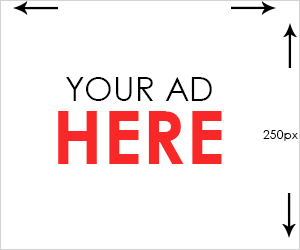 Fortunately, the brand has managed to maintain its quality reputation even for the shoes that are manufactured outside of the UK. Some reviewers have commented that the soles of the 200 tend to wear out fairly quickly, but I haven’t found this to be the case in my personal experience. Quite honestly, wear and tear is such a subjective thing that it’s difficult to pin the blame on the shoe manufacturer. You have to consider a wide range of factors including a person’s weight, how frequently the shoes are worn, how a person walks (e.g., do they scuff their feet on the ground as they step? ), and dozens of other details that can play a part in how quickly (or slowly) the shoes will wear out. Having worn my Loakes for several months now, I can confidently say that these are some of the most comfortable shoes I have ever owned. It will take about a week or two to wear them in (as can be expected with practically any shoe you buy), but once you go through this initial phase, your feet will feel right at home in these Oxfords. The fact that they are constructed entirely of high-quality leather (both inside and out) is what provides these shoes with such a high level of comfort. The last is in a G fitting, so if you have wider feet like me, the 200 will be right up your alley. Loake continues to set the standard for quality, and their 200 Oxfords are no exception. Whilst these shoes are on the lower to mid end of the price scale, it would be a mistake to think that they are of inferior workmanship. If you’re looking for a simple yet stylish Oxford shoe that can offer premium comfort along with excellent durability, you should definitely give the Loake 200 a closer look.